Unboxing: Feelunique Radiant Skin Beauty Box + Discount Code | Memorable Days : Beauty Blog - Korean Beauty, European, American Product Reviews. I have always loved beauty boxes since it is a great way to try out new products instead of buying the full size and waste money on it if you don't even like the product. However, I do have my standards on beauty boxes, in my opinion it got to be reasonable for its price and it must include large samples, since I won't be happy if it only included those mini samples that you can only use once. Another thing that I like about beauty boxes is that you are able to see which products that are inside before purchasing so it won't disappoint. Yes i am one of those who is not a big fan of surprise boxes. I recently got contacted by blogger Wanischa who works at Feelunique.com, to try out the Radiant Skin Beauty Box. Feelunique.com is an online webshop that sells products of many US and European brands like Urban Decay, REN, Glamglow, Origins and way and way more, you name it and they got it. Besides that, they also sell different kind of beauty boxes, there is one for haircare, the summer time, a pamper yourself box and more. 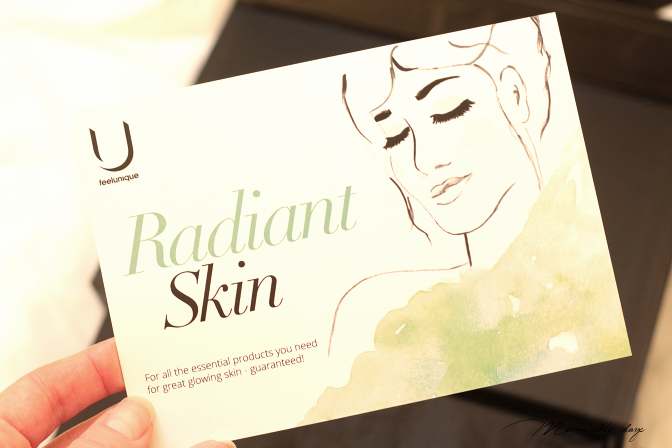 In today's post I will be unboxing the Radiant Skin Box. On their website you can see which products the box contains, so it's not a mysterious beauty box where you don't know what is included. It contains four products which aims to help you achieve a radiant skin. All products combined has a value of €93.06 but only retails at €36.96, which is not a bad price I would say! The shipping price is free when purchasing above the €15.- when shipping to The Netherlands. Visit here if you are interested. Feel free to use my code ELISA10 to get 10% when purchasing over the €35.-! 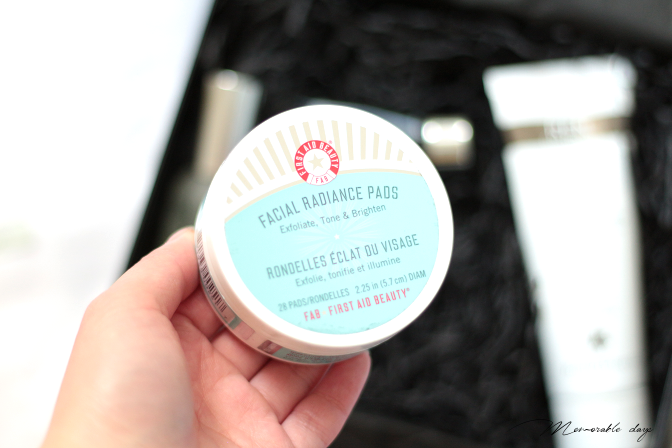 The first aid beauty facial radiance pads are small AHA-infused pads that you can wipe over your clean face, neck and décolleté to leave it fresh, polished, smooth and glowing. It exfoliates, tones and brightens the skin it claims. It's gentle enough to use it daily, even on sensitive skin. It contains 28 pads and this is a full sized product. I think this product would be amazing on the hot days which gives you a cooling effect, leaving a fresh and smooth finish. 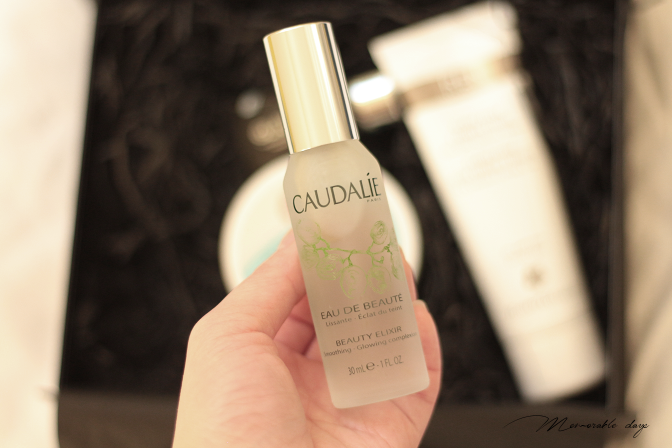 The Caudalie beauty elixir is a mist that you can spray on the face that works great on dry, irritated or dull complexions. Just spray on the clean skin or over your make-up for instant hydration and radiance. It comes in a spray bottle which makes it easy to spray it all over the face. I can't wait to give this one a try. It's 100% natural fragranced, has 0% parabens and 0% phenoxyethanol. This is a full size product that is worth €42,24! This fast-acting mini skin miracle rejuvenates dull, tired skin in just 60 seconds. Dampen your finger tips with water, massage your skin with it for a minute and activate the Vitamin C to brighten your skin. The Vitamin C is from Ascorbic Acid which stimulates collagen synthesis, evens out skin tone and provides instant radiance to the skin. 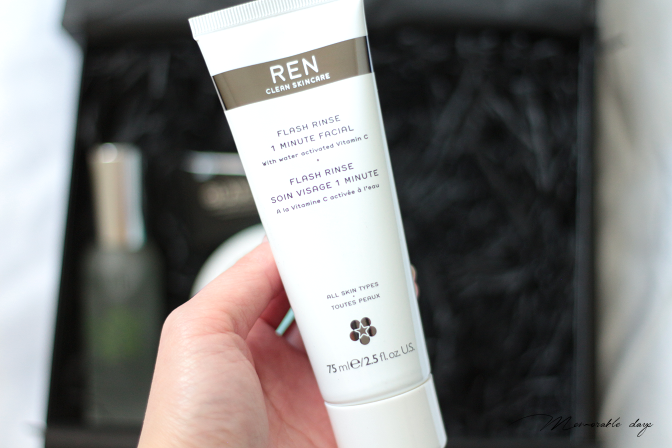 I am curious if this flash rinse of REN really works! I have heard so many amazing things about this mud mask. This mask instantly leaves any complexion looking visibly brighter and smoother. 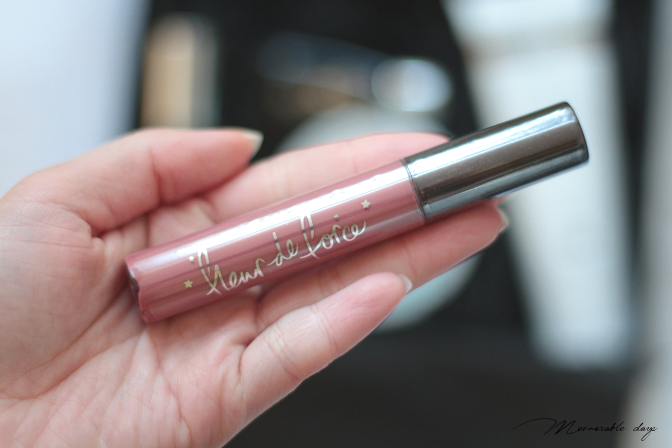 It's a pity that the size is so small but I cannot wait to give this a try, so I know what the hype is about! 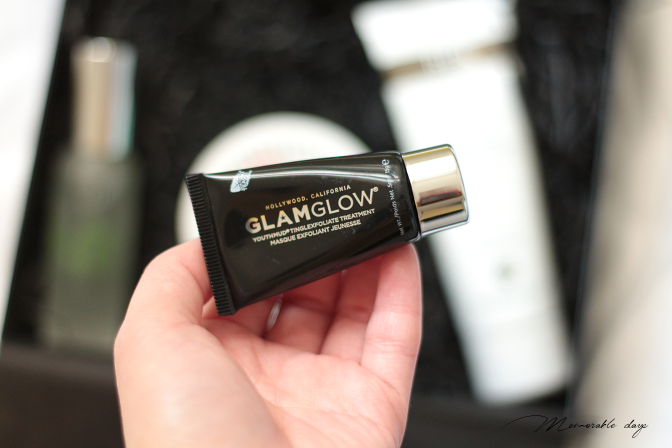 Have you tried the Glamglow youthmud already? Wanisha was so kind to send me more products to try that are sold at Feelunique.com. 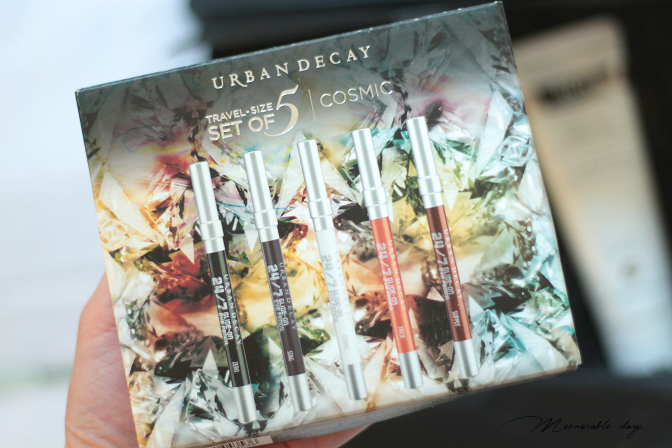 She has send me the Urban Decay travel-sized set of the 24/7 glide on eye pencils. 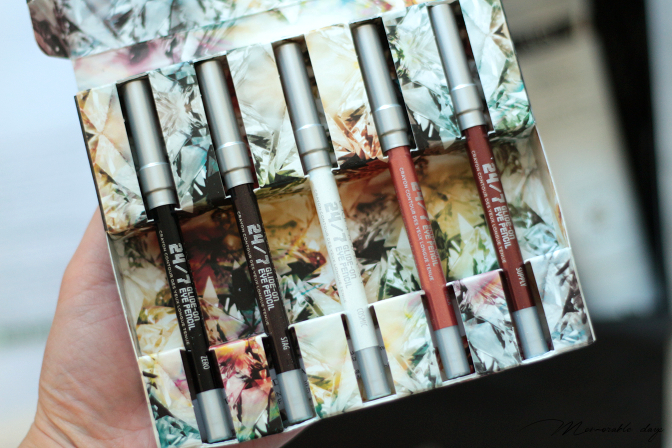 I am in love love love of their 24/7 eyeliner aka my holy grail, so I cannot wait to try these! She has also send me the Philip Kingsley Elasticizer which is a pre-shampoo intensive moisturising treatment that delivers elasticity, bounce and shine to the hair. It also provides UV protection even after washing, helping prolong the life of colour treated hair. Visible results from one application that improves with continued use. It's also fragrance free. After reading the description, it seems very promising! A must try on my damaged colored hair I would say. Last but not least, Feelunique.com also sells products that are created by Youtubers, like the Zoella line that you can normally get at Boots, but also products from Fleur de force. I got send one of her lip glosses - 020 written in the stars. 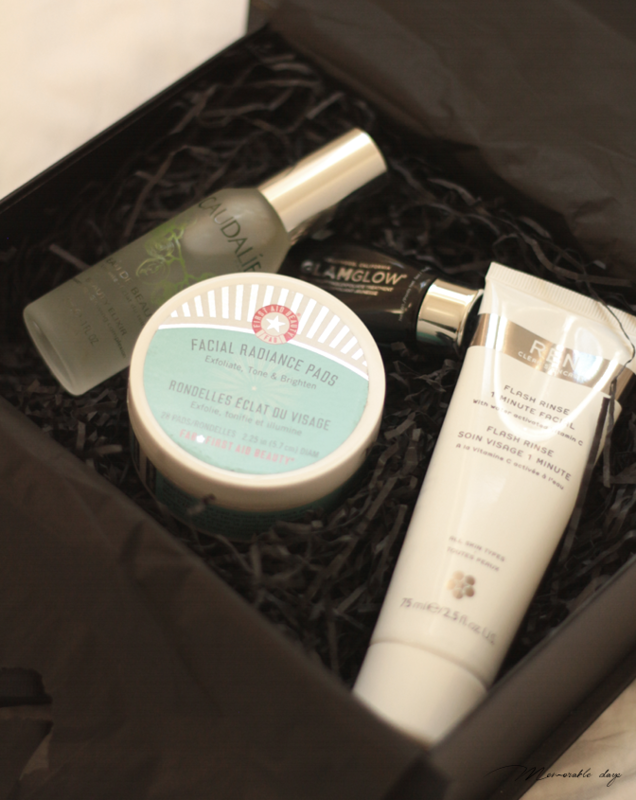 I am pretty impressed by this radiant beauty box. It is worth its money of €36.96 I would say, it contains full sized products as well as small mini's. It contains products that I have been willing to try for a while and that interest me. The box is presented in a chic way with clear descriptions, give it a try I would say. If you are interested in other beauty boxes, have a look at these. As you have noticed, Feelunique.com has a very wide range of products, from make up, nails, skincare to hair products. They got it all. I hadn't heard of this website before but it's a great spot to purchase products of European and American brands if it's hard to get it in your country. Their shipping rates are reasonable and the prices of the products are reasonable too. Feel free to use my code ELISA10 to get 10% when purchasing over the €35.-! note: this beauty box was sent to me review purposes, see disclaimer.